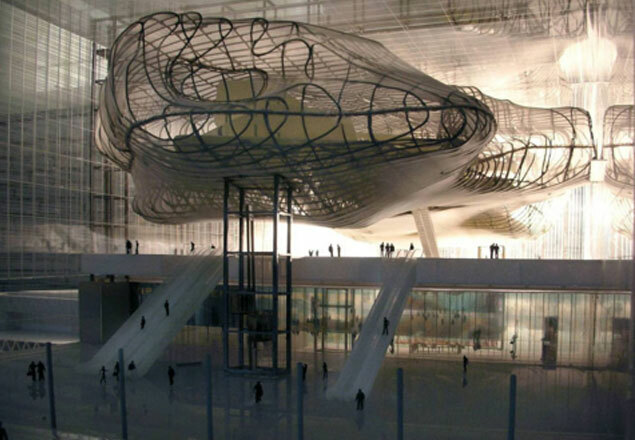 Rome, Italy – The new Conference Center in Rome, located in the EUR quarter, was designed by Roman architect Massimiliano Fuksas. The structure has been nicknamed the “Cloud”, because it consists of a large all-glass parallelepiped 39 meters tall with a 1,850-seat auditorium suspended inside. Most of the facilities of the Center are located in the underground portion, below the Cloud. The transverse and longitudinal façades consist of continuous glass panels formed of hidden struts and crosspieces of bronzed-painted steel. 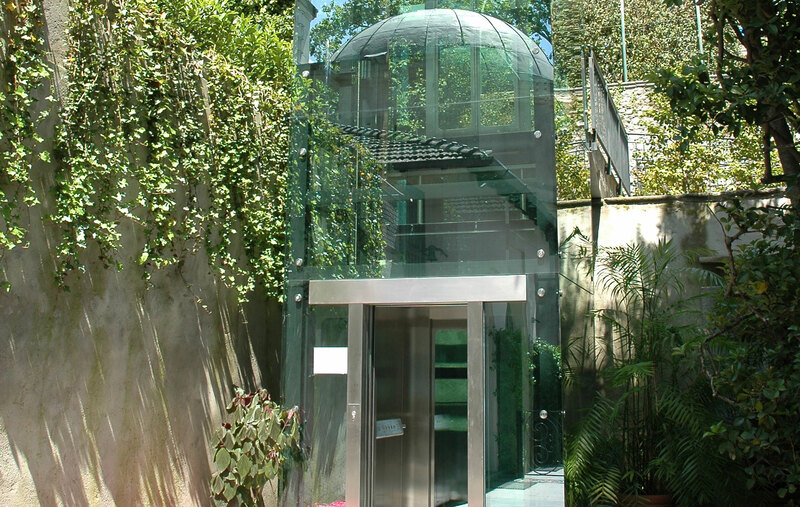 The outside glass panels are independent of the internal panels, the space between them housing the corridors, the stairways, and the elevators supplied by Maspero Elevatori to connect the floors with the exit-ways. The atypical structure of the project, and the architect’s meticulous design, indicated Maspero Elevatori as the partner that could satisfy the technical complexity and aesthetic solution required.